Buy a Holdsworth House picture memento to remind you of your time spent at the manor. This unique print is by local artist Paul Marlor. The attractive prints are of an original water colour and available to buy mounted or in a frame. 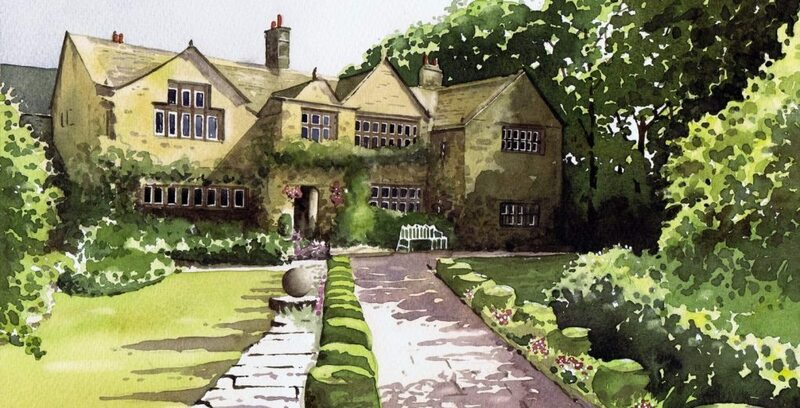 It is the ideal wedding or anniversary gift for those married at Holdsworth House. Sorry, not available to purchase online. To order via us please call 01422 240024, please note that for this purcahse cash or cheque payment is required.